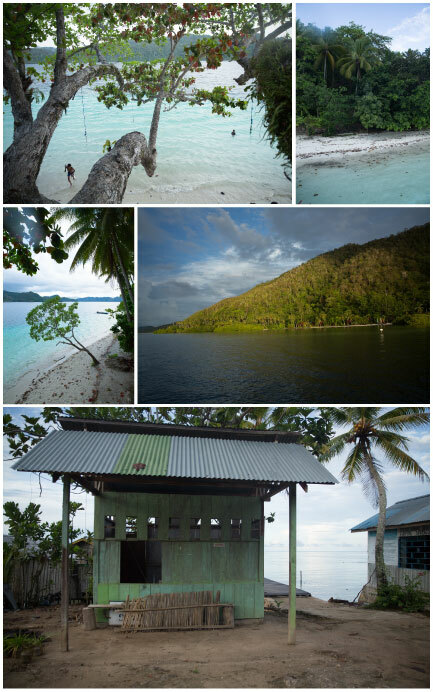 A thousand miles away from Java and Bali, off the coast of West Papua, volcanic islands shelled their pearls on the tropical sea into the turquoise, like the jewels of a sunken treasure. Their wild contours exhale sweet perfumes: Sulawesi, Maluku and Raja Ampat, the thousands of islands on the spice route are dreamed stops for world ends lovers. Like any paradise, it must be earned: about thirteen hours flight from Paris to Jakarta or Singapore, and then again three hours to reach Manado, the North Sulawesi capital (Sulawesi in Indonesian), gateway to the islands in the archipelago … the port of Manado nestled in a large bay facing the Bunaken volcano, black mass in area planted colorful coral underwater. We plunge to admire them, on one of the most famous diving spots in Indonesia. Manado, we fly to Sorong: This port of West Papua on the island of New Guinea allows, if one manages to wrest the sweet and festive nights of Tembok Berlin, local Croisette where one eaten grilled fish brazier in makeshift huts, to discuss Raja Ampat, the Papuan archipelago with 540 coral species. Raja Ampat is in the top ten for worldwide diving destinations. If one prefers to approach the islands by sea, you can also rally the Raja Ampat embarking on a pinisi, a beautiful traditional sailing ship with two masts and seven veils typical of Celebes, to the port of Taopere in Makassar, the capital of south Sulawesi. A dock, commercial pinisi still fill, the backs of men, their wedges sugar and spices harvested in the islands. How to imagine, by observing these covered wild coasts of primary forests, punctuated here and there with tiny villages cut off from the world, that these southern countries are the source of Western Renaissance, enrichment of royal courts engaged in a race by lust for spices! How simple plants, cloves or nutmeg, have become undisputed stars, the basics of a developing civilization? These small cloves, these small grains of pepper, the nutmeg, have unleashed rivalries between European nations engaged from the fifteenth century in a race to the colonies, counters, naval fleets, for control of the generating wealth power and economic supremacy. Today, these islands are the territory of one of the most powerful in the world Nations: Indonesia, third most populated Republic with its 255 million inhabitants, first Muslim nation in the world, the cradle of civilization was, and still is the bridge between the West and Asia. The largest archipelago in the world, crossed by three time zones, is the kingdom of superlatives. Yet it is here in the guise of a kind impenetrable. And then “Earth! “Yenpapir Beach, language of coral sand, licks the feet of coconut trees bordering the island of Mansuar. You approach the end of a long traveling along the north coast, after the peaceful village of Kurkapa. Here, each village has its pontoon fishing or almost every house. “Selamat pagi”: the “good morning » is spreading upon your passing as a wildfire from mouth to mouth, smile to smile. The populations of Raja Ampat mix Papuans Indigenous peoples and families coming from different horizons. Before dawn, the ship set sail for the island of Gam. A Saranggaï, Papuans village live a quiet life. Clay trail sinks beneath the canopy in a concert of bird songs whose presence is buzzing in your way. In silence, we followed suit not the guide. The bird of paradise feathers voluptuous like to post on the largest trees of the forest and dominate the universe with panache. If one station at the foot of the tree in silence, he answers the cry of the imitator and down to earth to seduce anything that moves, with its multicolored feathers. The bird deified by the Papuan culture and revered by beautiful European to provide the best egrets on bibis 30s, now allows for live community by attracting travelers. Time is suspended on her lips caller whose call perfect imitation, learned and reproduced over thousands of years and generations in turn allows to seduce a bird book to look innocently. Meanwhile, in the village, children play hopscotch on the edge of the water, the men go fishing in their outrigger canoe, engines snort, the official Indonesian national flag hoisted close to the church (the Papuans are mainly Christians and animists). From a jet of a blowpipe, off, there is a spot that dream more of a dip: a small coral reef where manta rays graze the surface of their graceful wings. It is also the morning that we can with a mask and snorkel, mingle with their majestic ballet. The highlight of the show comes from the geology on the side of the island of Painemu: Bentangalam Kars karst archipelago beautiful: the nature outperformed computing saturation turquoise and green that seems unreal, almost virtual. At the foot of volcanic sugar loaves covered with dry vegetation, a boat dock is ready to dive into the green and hot water. 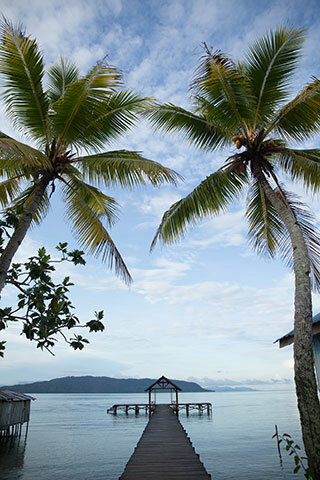 Island Mansuar is a base ideally located in the heart of the archipelago, right across from the main island of Waigeo. Hotels are diving lodges with simple comfort, but the presence of wood, always precious, give the rooms a unique colonial charm. Raja Ampat Dive Lodge anchored on the beach lined with mangroves roots in attracting a multitude of fish species whose presence allows to marvel upon awakening, by wearing a mask. One hour and fifteen minutes flight from Raja Ampat, the island of Ambon is the historic heart of the “Spice Islands” in the Moluccas -Maluku in Indonesian- which still comes from 80% of the Indonesian production: there are a thousand islands scattered over a clear tropical sea, in the air fragrant clove. Centuries before the Eastern spices pleasantly tickle the palate of the courts of Europe, China merchants, Malaysia and the Middle East had discovered the value of clove and nutmeg and knew that one was in while in the Moluccas. After 400 years, the oldest clove tree in the world stands on the volcanic island of Ternate, and always gives half a ton of cloves per year. 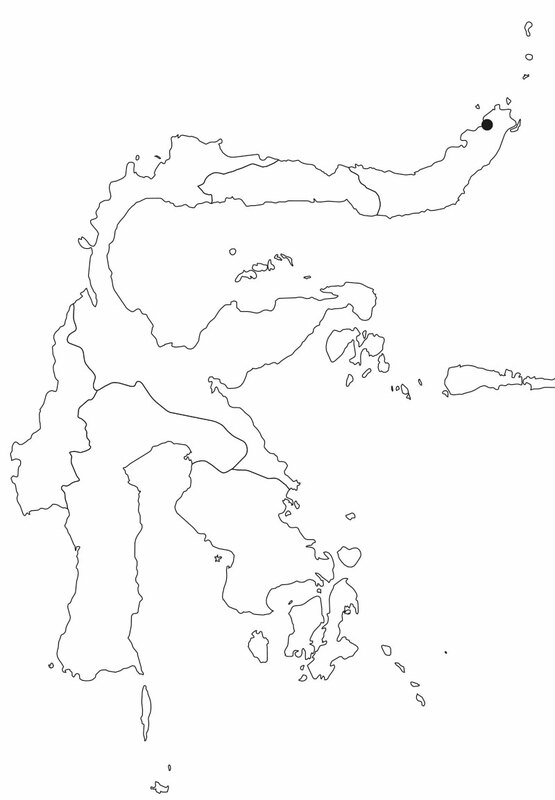 The Moluccas are separated by deep water from both the Asian and Australian continents and have never been connected to the continent by land. They form a kind of Atlantis to the incredibly generous nature that has developed in total isolation, in this special area called Wallacea. A territory to explore, again and again.